Why is there a Garbo museum in Högsby? Prompted by a suggestion by the Högsby municipal council a decision was made to invest in a tourist project and develop an interesting tourist attraction. Since a lot was written about these plans, a person in the United States, who owned a large collection of photographs of Greta Garbo´s movies, contacted the municipal council. An offer was made to the council to buy these photographs and the decision was made to purchase them. When the project was finished after some years the Garbo Society was founded and subsequently took over the management of the Garbo exhibition. Greta Garbo is one of the five most internationally known Swedish people of all times. At the museum in Högsby you can follow her career with the help of fantastic studio pictures, production props and many other items. About 1100 photographs were bought in the spring of 1998. The pictures were taken by the film studio´s own photographer and are of an unbelievably high quality. All of the Garbo movies are represented. A selection of about 100 pictures from the total collection are exhibited at the Garbo Museum every year. One can also find many other items connected to Greta Garbo. In 2013 we were able to buy and borrow several different personal items which were owned by Greta Garbo, while other items were donated. Because of this we have been able to call ourselves the “Garbo Museum” since 2014. The items are from the auction of Greta Garbo´s remaining estate which took place in Beverly Hills in December 2012. We aim to keep the museum open during the whole year but at the moment it is only open during the period of July - August, Monday- Friday, 11 a.m -3 p.m.
With groups of at least 10 people other opening times than those mentioned above can be arranged. In this case please contact us and we will do our best to book a guided tour. Entrance fee: 40 SEK. Groups of at least 20 persons: 30 SEK. Storgatan 26, 579 30 Högsby. Greta Gustafsson was born on 18th September 1905 in Stockholm as the youngest child of Anna Lovisa and Karl Alfred Gustafsson. On her mother´s side Greta originated from the aristocratic house of Sabelskjöld. After finishing primary school she took on a job washing hair at a hairdressing salon and then as a clerk at PUB in Stockholm. In 1922 she applied for and was accepted at the acting school “Kungliga Dramatiska elevskola” in Stockholm. At the beginning of her career she starred in several advertisements before getting her first real acting role in the film "Luffar-Petter" in 1922. Mauritz Stiller discovered her talent and gave her a role in “Gösta Berlings Saga" (1924). A few years later both Garbo and Stiller caught the eye of Louis B. Mayer and he took them under contract at MGM in Hollywood. During her acting career Garbo played in 27 films. She earned a lot of praise for her acting with only a few exceptions. The transition from silent movies to talking movies only boosted her movie star status since her somewhat hoarse voice only added fuel to the flame of the burgeoning Garbo fever and her enigmatic personality. Greta Garbo died on 15th April 1990 in New York. The funeral took place on 16th June 1999 at the cemetery Skogskyrkogården in Stockholm. Why found a Garbo society? Greta Garbo´s (Gustavssons) mother, grandmother and several generations back are from Lillsjödal / Drageryd, which are villages in the Högsby municipality. The mother, Anna Lovisa Johansdotter, was born on 10th September 1872 in Lillsjödal. The father, Karl Alfred Gustafsson, was born on 11th May 1871 i Norra Sunhult in the parish of Frinnaryd. They were married in Stockholm on 8th May 1898 and had three children; Sven in 1898, Alva in 1903 and then Greta who was born on the night of 18th September 1905 in the maternity ward “Södra BB” in Stockholm. After the tourist project under the management of the council had finished, the Garbo society was founded and subsequently took over the management of the Garbo exhibition. The Garbo society was founded on the 3rd February 2001 and is an independent non-profit association which is open to anyone who is interested. The society has its seat in Högsby and takes care of the unique Garbo museum which is located on Storgatan 26 in Högsby. At this time the society encompasses about 160 persons who are located in Sweden but also in the United States, Germany, France, Spain and other countries. Most of the Swedish members live in Högsby and in the close vicinity of Högsby but there are also many Garbo interested people in the area of Stockholm and Göteborg. A number of members, mostly from the vicinity of Stockholm, purchased items which had belonged to Greta Garbo at the auction of her belongings which took place in Beverly Hills in the USA in December 2012. Some of these things have been donated to the Garbo society but we were even allowed to borrow others. On account of this we have been permitted to call the exhibition a MUSEUM because the exhibited items were part of Greta Garbo´s personal belongings. Do you also want to be a member of the Garbo society? 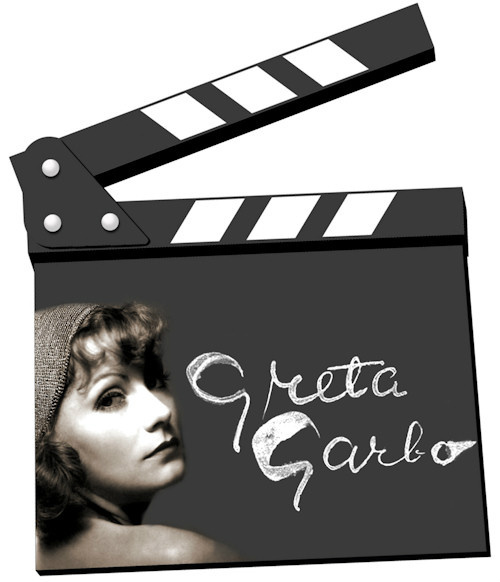 As a member of the Garbo society you support the museum in Högsby which is the only permanent museum dedicated to Greta Garbo in the world. You will be invited to partake in movie nights, Garbo evenings and other social activities. You can find information about this on either our homepage, via e-mail or in our membership letters. As a member you may always write, mail or call us with suggestions, ideas, questions or anything else you would like to convey to us or the other members. Please consider that anyone who takes part in the project groups or is a member of the managing board does this completely voluntarily and does not receive any financial compensation. The membership fee essentially covers the costs for e.g. rent, electricity, insurances etc. As a member you contribute to keeping and further developing the museum. To become (or continue to be) a member you pay the annual fee which is 150 SEK. The easiest way to do this is to transfer the money to our bank account 5700-3360. Do not forget to write your name in the reference line. If you are a new member we also ask you to please give your address and your e-mail address.